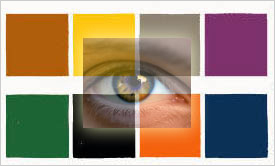 The Lüscher color test is a psychological test invented by Dr. Max Lüscher. The Lüscher-Color-Diagnosis measures a person's psychophysical state, his or her ability to withstand stress, to perform, and to communicate. It uncovers the cause of psychological stress, which can lead to physical symptoms. The results of the Lüscher-Color-Diagnostic contain indications pertaining to personal assessment and how psychological stress can be reduced and the resulting physical symptoms can be avoided. It also offers additional information for homeopathic therapy. TOUCH: Sensory loss is found in a number of chronic diseases that affect nerve function. The most common is diabetes where the distal nerves of the feet are affected first due to poor circulation. However, more subtle sensory deficits to vibratory tones occur due to internal organ deficits reflecting themselves upon the peripheral dermatomes of the skin. These I call specific distal sensory loss. Sensory nerves receive impulses from internal organs, as well as the skin, eyes, ears, tongue and nose. 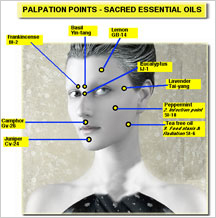 Even more common are sensitive points upon the skin that reflect irritation of the inner organs. These sensitive points were earliest utilized by the Chinese, but recently expanded upon by homeopaths and by the author. Sensitive points can reveal food allergies, mineral deficiencies, digestive disturbances, as well as indicated herbs, essential oils and homeopathics. CONCLUSION: All five senses are vital to maintaining or regaining health. Jade Therapies aim to rehabilitate the senses making it easier to change bad habits, faulty dietary, if not signs of depression and fatigue. They are a vital aspect to health care yet largely ignored.